George Butler - D. 1-28-2018 - drummer - played with Alex Harvey, Ian Dury, The Divants (late), Pink Fairies (late), The Dirty Strangers, and more. Adelbert von Deyen - D. 2-13-2018 - 64 - legendary German electronic musician. Pete Boot - D. 2-18-2018 - 67 - Parkinson’s disease - frummer for UK-band Budgie. Richard John Rusinski - D. 3-4-2018 - singer for Swiss psychedelia band Ertlif. Marc Trehey - D. 4-3-2018 - Madison - drummer, singer, songwriter - played with Wild Child, Breakaway, Rattlebones, Dirty Deeds, Phase 6, Drifter, Vinyl Thunder, Shelley Faith, Pilot and many more. Martin Thurn - D. 4-2018 - guitarist - founder of German/Italian legendary prog band Analogy and Sons of Glove. Fraser Loveman - D. 4-6-2018 - complications from influenza and pneumonia - St. Catharines, Ontario - legendary Canadian singer, guitarist & rocker - played with The Modbeats, The Village S.T.O.P. and many more - in a 1968 music magazine poll, Loveman was ranked Canada’s second favourite male vocalist, behind only Leonard Cohen. Yvonne Staples - D. 4-10-2018 - 80 - colon cancer - singer - member of the Staple Singers who were awarded the lifetime achievement honor at the 2005 Grammy Awards. Deborah Coleman - D. 4-12-2018 - 61 - complications brought on by bronchitis and pneumonia - American blues singer and guitarist - won the Orville Gibson Award for “Best Blues Guitarist - Female” in 2001 and was nominated for a W.C. Handy Blues Music Award nine times. Randy Scruggs - D. 4-17-2018 - son of the legendary Earl Scruggs - music producer, songwriter and guitarist - won four Grammy Awards and was twice named Musician of the Year at the Country Music Association Awards. Ian Stuart Colman - D. 4-19-2018 - 73 - British musician, broadcaster and producer - worked with Shakin’ Stevens, Kim Wilde, Billy Fury, The Blasters, Cliff Richard, Phil Everly, Alvin Stardust, The Jets, The Inmates, and Little Richard. Avicii (Tim Bergling) - D. 4-20-2018 - 28 - reportedly died from self-inflicted injuries after using broken pieces of a wine bottle to cut himself - Swedish musician, DJ, remixer and record producer. D.C. Felton (Rory Felton) - D. 4-21-2018 - 57 - was found dead in a house in Washington, D.C. - his body had multiple stab wounds - a Go-Go music pioneer and was a fixture on the inner city D.C. music scene since the late 1970’s. He was the co-founder of the Go-Go band “Rare Essence” and performed with Little Benny and the Masters. Kathleen “Kitten” Johnson - D. 4-26-2018 - San Diego - Singer - CYKA and Pharmacy. Charles Neville - D. 4-26-2018 - 79 - saxophonist of the legendary Neville Brothers Band. Roy Young - D. 4-27-2018 - 83 - British singer, pianist and keyboarder for Cliff Bennett and the Rebel Rousers, David Bowie, Chuck Berry, Tony Sheridan - also performed with the Beatles in Hamburg. 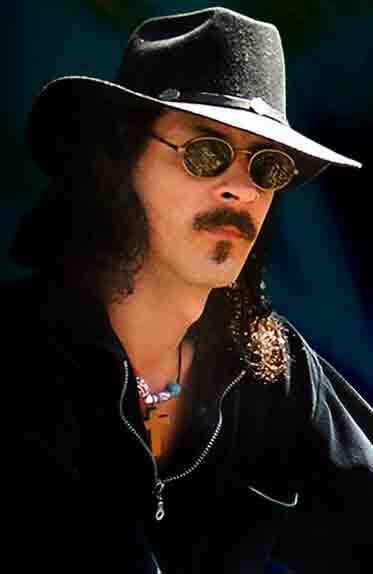 Tim Calvert - D. 4-30-2018 - 52 - ALS - former guitarist for Forbidden and Nevermore. Rose Laurens (Rose Podwojny) - D. 4-30-2018 - 65 - a French singer-songwriter - had 1982 smash single “Africa”, number three hit in many European countries.